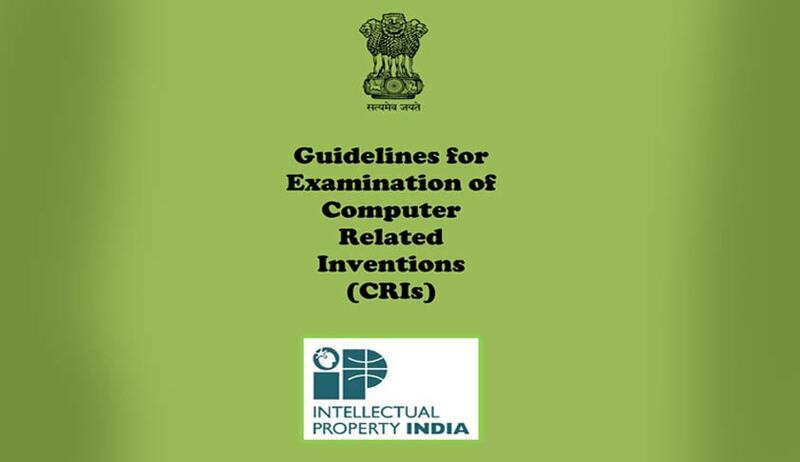 Intellectual Property India has published Guidelines for Examination of Computer Related Inventions (CRIs) via Office of the Controller General of Patents, Designs and Trademarks on 19th February, 2016. The aim of this document is to provide guidelines for the examination of patent applications in the field of CRIs by the Indian Patent Office so as to further foster uniformity and consistency in the examination of such applications. The objective of this document is to bring out clarity so that eligible applications of patents relating to CRIs can be examined speedily. The guidelines discuss various provisions relating to the patentability of computer related inventions. The procedure to be adopted by the Patent Office while examining such applications and the jurisprudence that has evolved in this field has also been discussed. The examination procedure of patent applications relating to CRIs is the same as that for other inventions to the extent of consideration of novelty, inventive step, industrial applicability and sufficiency of disclosure etc. The determination that the subject matter relates to one of the excluded categories requires greater skill on the part of the examiner and these guidelines focus more on this aspect. Please find attached the Document consisting of guidelines for further assistance. Read the full text of the guidelines here.